You have two ASA firewalls deployed in Active/Standby failover configuration, and need to upgrade either the operating system or the ASDM. As you already have a high availability solution you do not want any downtime. Before we start, we need to make sure we know the difference between primary, secondary, active and standby. The Primary and Secondary firewalls are physical firewalls, the primary will always be the primary, and the secondary will always be the secondary. (Unless you manually change the configuration to force things otherwise!). The Active firewall will be the firewall that’s passing traffic and in operation, and the Standby firewall is sat waiting to take over, each physical firewall can be either active or standby. In this example, I’m going to upgrade both the firewalls from 8.4(5) to 9.1(1), and the ASDM from version 7.1(1) to 7.1(1)-52. When we start, the primary firewall is the active firewall. In the past I’ve upgraded from 8.2(5) to 8.4(5), and (here) 8.4(5) to 9.1(1). I’ve never had a problem HOWEVER, DO NOT ATTEMPT an upgrade until you have a good backup of the config. 1. 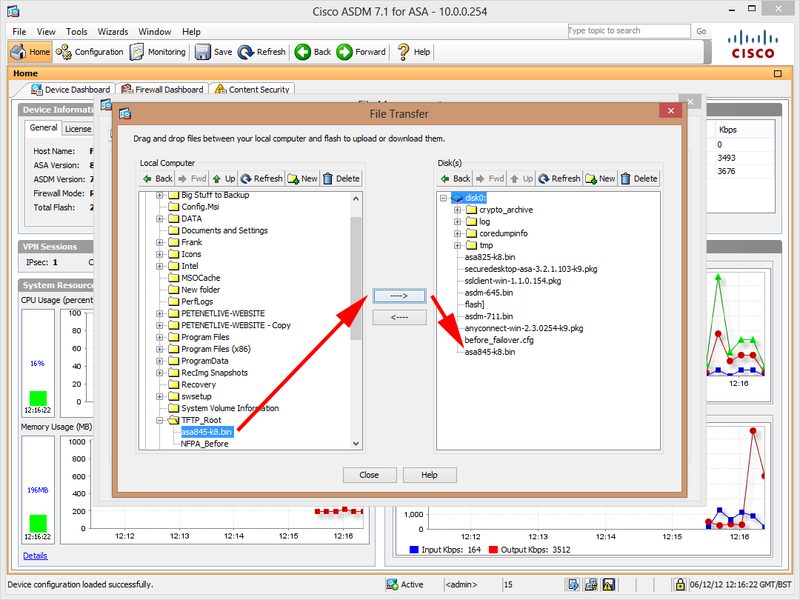 First you need to upload the software to the flash memory on BOTH firewalls, you can either connect to the ASA via command line and TFTP them there, or connect to the ASDM and upload them from your PC/Laptop. If you have an AnyConnect XML profile take a backup of that also (I’ve seen them disappear). 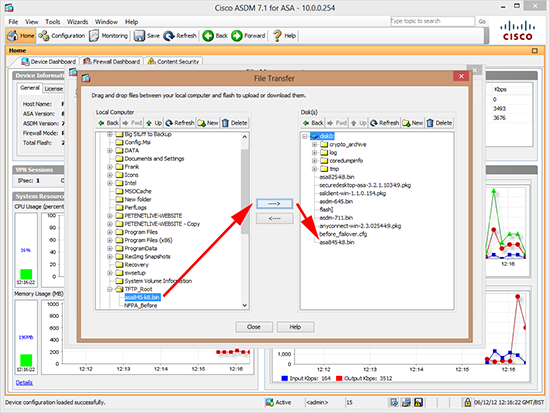 Connect to the ASDM > Tools > File Management > File Transfer > Between Local PC and Flash > Navigate to the file(s) on your local machine > Upload. REMEMBER TO DO THIS FOR BOTH FIREWALLS! Note: You can copy the file to the standby firewall’s flash memory, from the primary firewall, using the following syntax (though I usually just swap the console cable over!). 2. On the Primary Active Firewall, set the new OS as the default, below I check to see what file the ASA will boot from, then I change it to the new one, finally I remove the link to the old file. You don’t need to carry out the last step, but I like to leave things tidy. 3. If you are also upgrading the ASDM, you need to set the new one as the default image. 6. This may take a little while, remember it has to reboot, and depending on the version you are upgrading to, may need to change some of the config i.e. in this case of upgrading pasr 8.3 (and newer) all the NAT rules need to be changed. 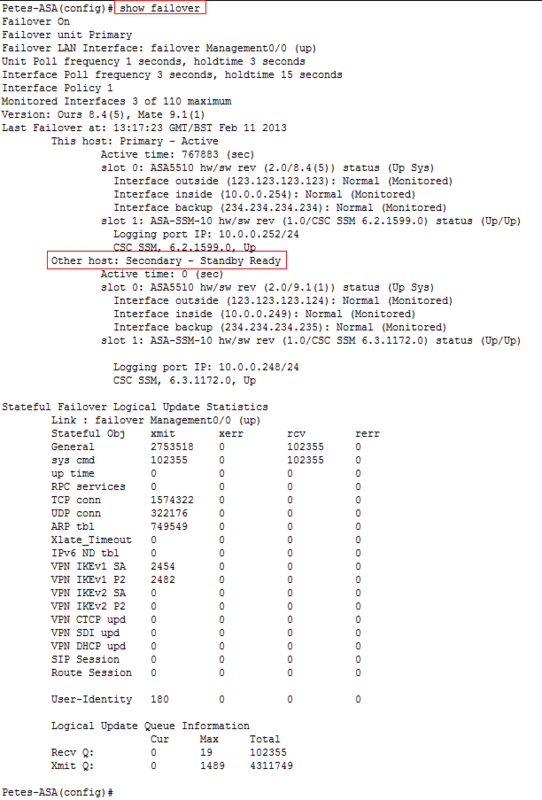 You can check to see if it’s back online by issuing a ‘show failover command (whilst still on the primary firewall). You will know when the secondary firewall is up and ready as you will see ‘Secondary – Standby Ready’. 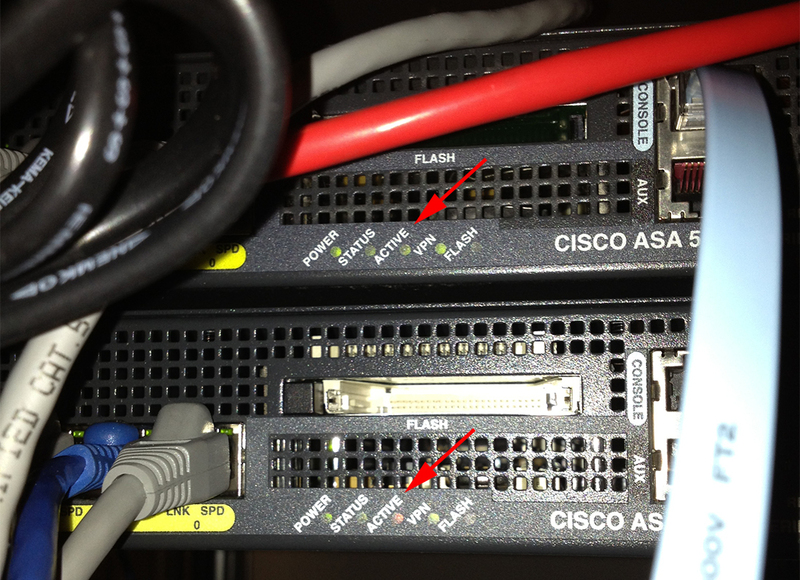 Note: If you can see the status lights on the standby firewall watch for them to be green,green,amber,green,off (ASA5510). Warning: Due to the limitations of HTML, your output will be formatted a little differently, you will see the output displayed like this, but the text is the same. Other host: Secondary - Standby Ready <<<<<< Here we go! 7. 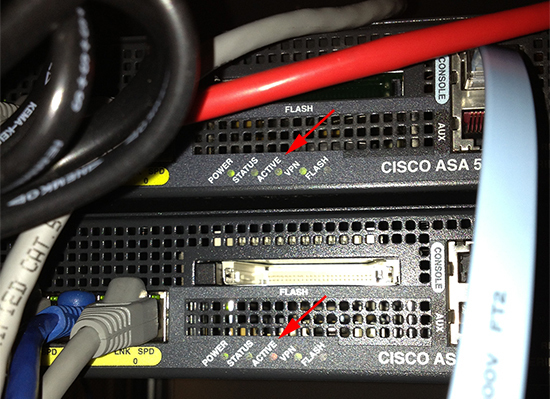 Now you need to force a failover to the secondary firewall, (again do this on the primary active firewall). 8. Now reboot the primary firewall and that should boot to its new operating system. 9. Once complete, log back in and you can make the primary firewall active once more. Detected an Active mate Beginning configuration replication from mate.